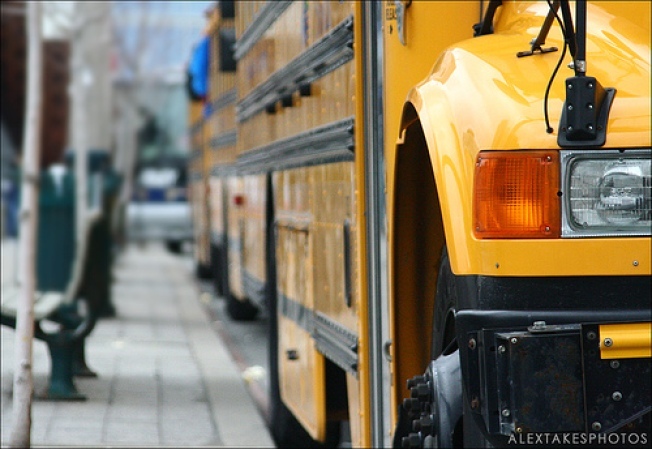 The child, who authorities say was frightened but not hurt, apparently fell asleep shortly after he got on the bus Wednesday morning. A school bus driver who mistakenly left a 4-year-old New Jersey boy alone inside the vehicle has been fired. But by the time he woke up, the bus was parked at the driver's home. The boy was then alone inside the bus for about another hour before the driver -- whose name wasn't released -- realized he had been left behind and took him to the school. It's not clear why the driver didn't notice the boy was on the bus. Police are investigating the incident, but no charges have been filed.